I was going to preface this post by saying it was slightly off topic, but since Last Pint doesn’t really adhere to topics to begin with, I think it certainly fits. Ben and I started Last Pint Productions for a few reasons. The initial reason was to have a place where we could showcase our scripts and writing samples to a larger community. 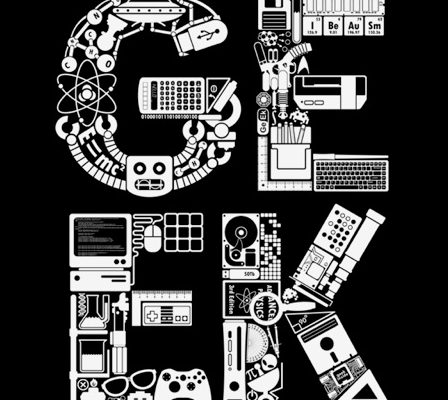 However, we eventually came to see the potential for LPP to be a place for us to broadcast what we do whenever we meet up: Geek Speak. I’m sure someone has already used that term, copyrighted it, made a tumblr page and spread it across the web, but it was the first term that popped into my head when I began to write this post. Last Pint began with us working on a TV series called DREAMWRITERS. As we branched into writing on other projects including a musical and a feature film, we also branched out on this website. We began to post blog articles on topics we wanted to discuss with other cinephiles, pop culture enthusiasts and fellow geeks. Most recently, we began our podcast, THE NEW WAY, where we are now bringing in others to chat with us for an hour about the love/anger/amazement they do or don’t feel when looking at film, tv, music and even sports. On a recent Podcast (EPISODE 3 – TWO THUMBS UP), we discussed some of the online communities we look to for discussion about film. One of the communities mentioned was AIN’T IT COOL NEWS. Most of the “serious” geeks out there have given up on that site (though, arguably, they like to go on the talkbacks and stir things up) and find it to be slipping in quality. I have always been an AICN apologist, and I consider it the filling, if not wholly satisfying, movie equivalent of fast food. Recently, there was a bit of a scuffle on the site with the very public firing of one of their writers, BILLY DONNELLY (The Infamous Billy The Kidd) which left a bit of a bad taste in my mouth. You can read the story in this NEW TIMES ARTICLE. What you will also find at that link is an INDIEGOGO project for a new community, spearheaded by Donnelly, called THIS IS INFAMOUS. While Ben and I simply write for ourselves most of the time, one of the eventual goals is to reach a wider audience. This Is Infamous looks to be working toward the same goal, and Last Pint has reached out to support them because it’s clear we both love great Geek Speak. Donnolly is also local to South Florida and a fixture in the film community, so his site will likely continue to offer some of the great events he hosted down here during his tenure at AICN. While we are even smaller than they are, we’re giving them a little push here because that’s what good Geeks do. We spread the word about the good, the bad and the ugly in hopes that we help others find something great or avoid something terrible. Our good friends and family are helping spread our humble work with others, and we certainly believe one good turn deserves another. Plus, Donnolly was responsible (while still working for AICN), for us getting to bask in the greatness of MR. BRUCE CAMPBELL, and for that alone, he has earned some good will from us. Of course, if one of our screenplays ever sells, and he gives it a shite review, we will delete this post and ban him from our site.